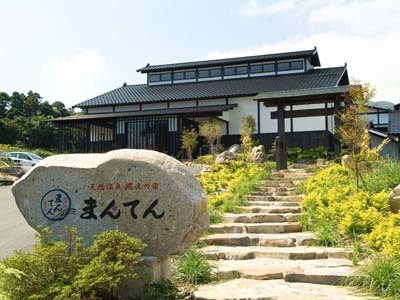 Jomon no Yado Manten is a natural hot spring ryokan located 1 minute walk from Yakushima Airport. The ryokan has captivating beautiful scenery and indulgent natural onsen, and offers the healing and relaxation. Please enjoy the local cuisine and brew. Experience the luxury of nature on Yakushima Island, a World Heritage site. 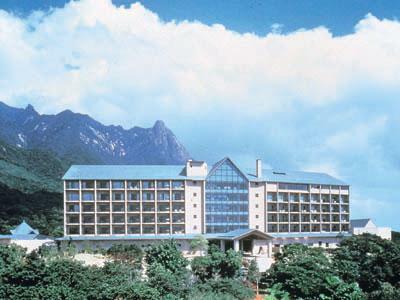 Yakushima Iwasaki Hotel is a genuine resort hotel located in the most beautiful place in Yakushima Island, listed as a World Heritage Natural Property. 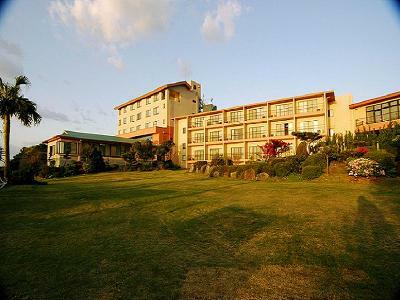 Yakushima Green Hotel is located at Anbo near the entrance to the mountain trail, and overlooking Tanagashima Island and Pacific Ocean. 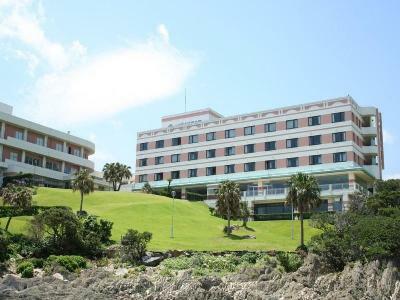 The hotel provides the ocean view rooms to enjoy the nature of Yakushima Island. This hotel is located in Yakushima's Miyanoura where the natural beauty of the Jomon-sugi trees remains untouched by man. Enjoy a huge panoramic view of the sky, ocean, and nature from the glass-sided large bath. With the 7200 year old Jomon-sugi trees on Kyushu's highest peak, Miyanouradake, alongside the Miyanoura River, and cradled on three sides by the Mountains, taste the fresh flavors of the ocean and Mountains while gazing at the river. 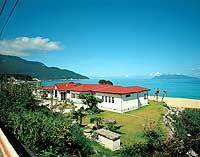 Marine Blue Yakushima is a petit resort hotel with total 8 rooms. All rooms are ocean view room and the balcony of the room spreads out to the beach. It may happen to be possible to catch a glimpse of sea turtles laying eggs at this beachside resort.